Mother of God! 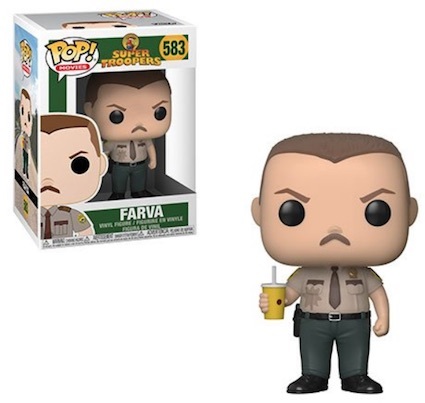 The cult hit Super Troopers has finally gotten the Funko call! 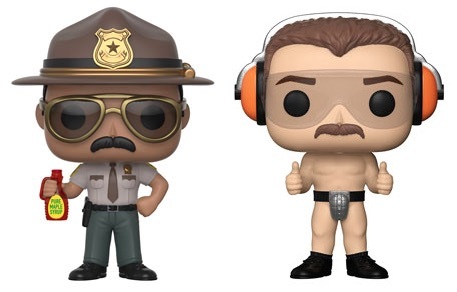 Funko Pop Super Troopers features the members of the Broken Lizard comedy group as they battle crime in the name of fun. 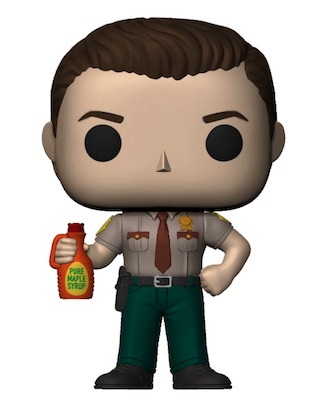 There is also Rodney "Rod" Farva, the unpopular trooper with a flair for annoyance. In his hand is the infamous "liter o' cola" with a hole in the cup that explains his stained dress shirt. 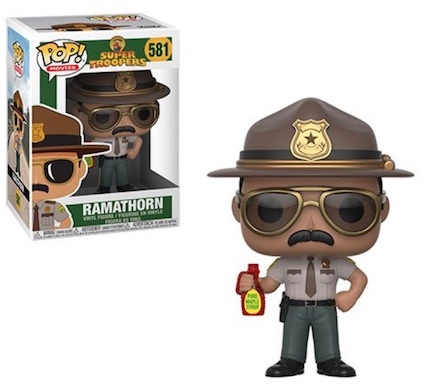 Collectors can even pair Ramathorn and Farva to form "Car Ramrod." 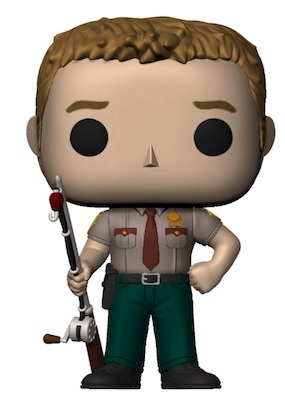 Shop Funko Super Troopers Figures on Amazon. On the more casual side is MacIntyre "Mac" Womack. 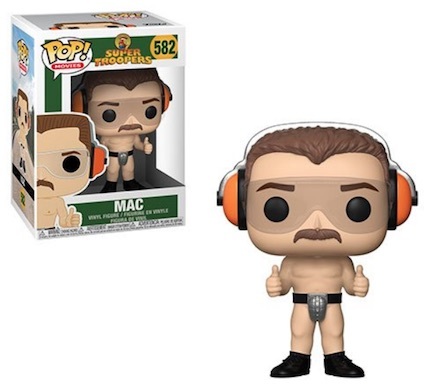 Mac is shown wearing the getup from the gun range scene where he has only his protective cup, safety goggles and earmuffs. The crazy jokester gives a double dose of thumbs-up. Issued later on, Pop! Movies figures for Carl Foster and newbie Robbie "Rabbit" Roto (not rodent) round out the five main troopers from the film. Both dressed in their trooper uniform, Foster holds a fishing pole and Rabbit grasps the same maple syrup bottle as Ramathorn. Still no word on Brian Cox as Captain John O'Hagen or Officer Ursula Hanson of the Spurbury Police. The 2001 comedy (buy DVD on Amazon) is a fan favorite that exposed the masses to the same troupe that later made Beer Fest in 2006. Click on the links below to buy figures on Amazon.